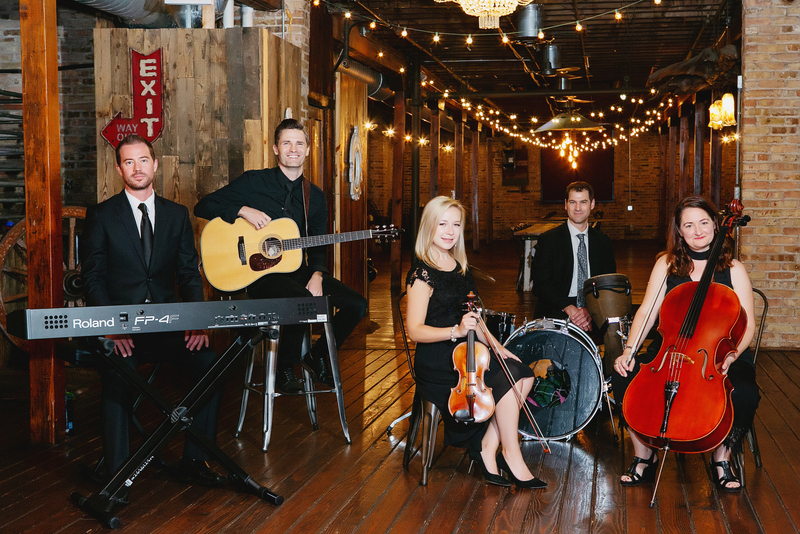 If that describes you and your event, you’ve already got an idea of what makes Backthird string ensembles such a hit with guests. 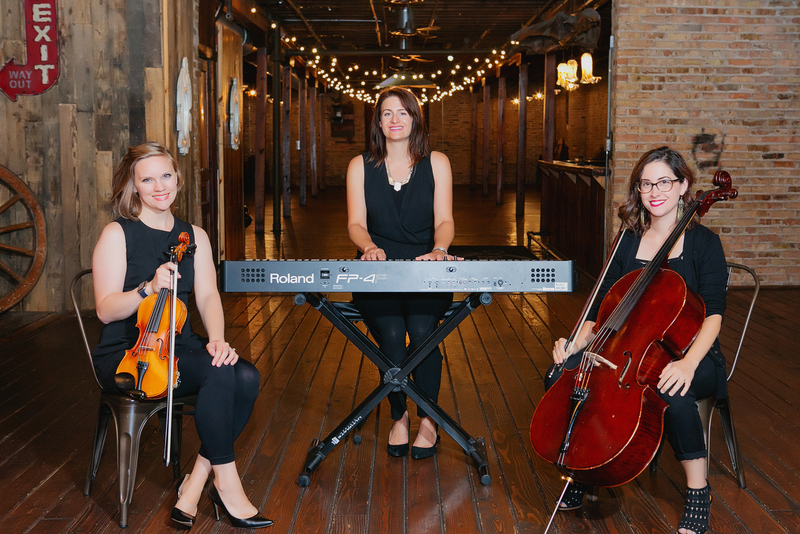 Performing as quintets, as quartets or as trios, pop string groups light up cocktail and dinner times all over Chicago with a unique instrumental take on modern music hits. The result is an upscale, classy performance that has guests tapping their feet and guessing the next song even as they mingle and enjoy the party. It’s chart-topping music you already know and love. But with each arrangement created exclusively for Backthird’s ensembles, you’re literally hearing these songs like you’ve never heard them before. And so are your guests. FIVE BY FIVE. 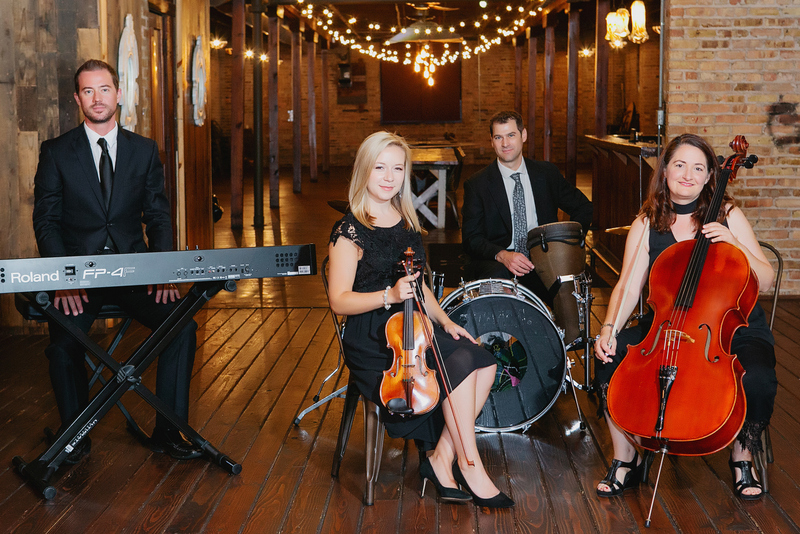 Pop strings quintets consist of five instruments: Violin and cello are front and center, while piano, guitar and percussion provide accompaniment. The unusual combination of traditional “classical” instruments with traditional “rock” instruments is part of what makes this approach to your favorite songs unique. Because quintets include both guitar AND piano, accompaniments are at their fullest and most versatile. Expect piano to shine on Adele songs, for example, while the guitar makes itself known on an Ed Sheeran cover. If you’ve got the space, a quintet is the most complete way to experience our songlist. FOUR ON THE FLOOR. The pop string quartet is our most popular way to work: The songs you love sound full, original and compelling to your guests. Violin and cello are still featured here, while our percussionist keeps the energy high. And for that fourth instrument? Your Account Manager can help you choose between the more versatile piano and the more rock-oriented guitar. Both are powerful, but your song preferences may point you one way or another. THE POWER OF THREE. Pop strings trios distill the essence of our sound into its smallest possible form: a violin, a cello, and one rhythm instrument (piano or guitar). Trios are more intimate. They’re easier on your floor plan (and your budget) but they still rock when you need them to. Trios are also a great wedding ceremony option. For the most variety at your event, start here – then move to a fuller-sounding quartet or quintet as your party progresses. GO BEYOND “CANON IN D.” We love classical wedding choices – and we can totally play them for you. But unless you fell in love listening to Classical FM, the soundtrack to your relationship probably includes some modern music. And your wedding can, as well. 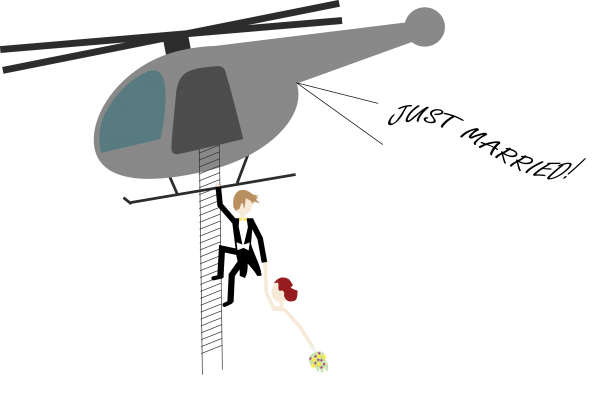 Couples who choose pop strings for their wedding ceremony are usually looking for a fusion of “classic” and “contemporary.” Choose from our entire song list – or ask us to arrange that special request just for you for a small extra cost. For the most variety throughout your evening, use a trio for your ceremony music – then move up to a quartet or quintet for a more energetic cocktail hour or dinner time. By the time your DJ opens the dance floor, your guests might just be on their feet already.